Why can’t British MPs accept that Britons voted in 2016 by more than a million votes to leave the EU? I voted out and would be happy to leave without a deal on April 12, just as I was expecting to happen on March 29. I find it outrageous that both an unelected House of Lords and a nearly 93-year-old monarch rubber-stamped a bill forcing the prime minister to go begging to her EU ‘colleagues’. As Scotland and Northern Ireland voted to remain in the EU, a second Scottish independence referendum should be offered and an Irish reunification plebiscite. I, for one, am happy to live in an independent republic of England dealing with Europe, the world and a reunited Republic of Ireland, and the independent republics of Scotland and Wales. It is incredible that a failed and humiliated Theresa May is still prime minister beholden to the DUP to support her clutches on power. 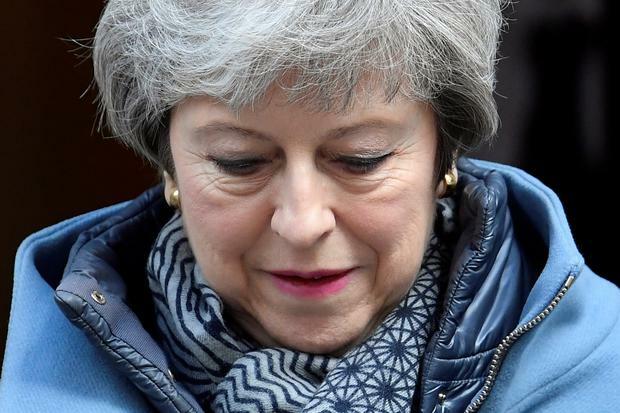 The UK’s grubby, tattered and battered PM should resign immediately and allow someone/anyone else to take the helm and repair the damage she, alone, caused with her unnecessary 2017 election. With reference to Boris Johnson’s article (‘I don’t believe that Corbyn will negotiate in good faith on Brexit’, Irish Independent, April 8): A man who was pro-EU before he saw a glimmer of hope in becoming the British prime minister by sacrificing his principles; even his brother and sister couldn’t believe his volte-face. A man who in his bid to become London mayor, said if he was elected he would not seek another office until his tenure was over. What did he do? He ran for parliament and was elected as an MP when he was still mayor, and ran both offices, who knows how, for more than a year. A man who was quite happy to stand under a banner in Trafalgar Square that promised £350m a week to the NHS after the UK left the EU, but then claimed ignorance of this promise after the Brexit vote. A man savaged for breaching the House of Commons’ rules in another damning report by the parliamentary standards commissioner on the rules of reporting financial interests. Johnson’s excuse was that he had “misunderstood” the rules. The commissioner’s reply was that she “did not accept that this was an inadvertent breach of the rules”. This sorry excuse for an aspirant to the British premiership, who has insisted on a no-deal Brexit purely because he wants to become the British PM regardless of the misery that it will inflict of the working people of the UK and Ireland, has the audacity to question the goodwill of Jeremy Corbyn? It is only because of the publication of articles like this that we can measure the hypocrisy and heinousness of parasites like Boris Johnson. The very pertinent article by the eminent journalist Robert Fisk (‘Lesson from history: Arch-Brexiteers echo Loyalist zealots who fuelled Ulster terror’, Irish Independent, April 6) should be perused carefully by each and every young Irish person. But, in particular, those who imagine violence is the sole means to a united Ireland. The only way to a united country is through peaceful means, by embracing your neighbour and understanding their apprehensions. Successful unification requires educating oneself properly on the history of Ireland and the UK: not just the select pieces that ‘suit a biased agenda’. Fisk puts the lead-up to the 30 years of absolutely unnecessary violence, and the horrific impact on thousands of innocent lives the violence had, squarely to the reader. There are photographs in the media of Leo serving tea to Barnier who is holding his cup aloft. Apart from the fact it shows a lack of quality on both sides, I hope they get a serious rollicking from the elf and safety wallahs. The potential for a severe scalding – oh, my! It appears there is some surprise a senior civil servant’s pay is outstripping Taoiseach Leo Varadkar’s by more than €18,000 following a wage hike last week. When you look at the facts, one plays a major role in the running of the country while the other poses for photoshoots with the likes of Kylie Minogue and delivers bowls of shamrocks to Donald Trump. Maybe the surprise is that the pay gap is not much bigger.